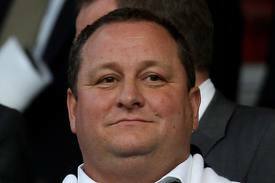 Poll about Mike Ashley | NUFC Blog. Archive for tag: Poll about Mike Ashley. Time to forgive Mike Ashley? Newcastle United owner Mike Ashley has certainly presided over a good start to this 2011/2012 season, but how – if at all – does this alter our opinion of the man? We’re over a 5th of the way through the season and sitting proudly in 4th position in the Premier League. Somewhere along the line something has gone right. Whilst it’s right that the owner of a football club has to take the ultimate responsibility for failure, it’s also right that he receives the plaudits when things go well. So for getting us into 4th place at this juncture I have to say well done to Mike Ashley. It’s well done to the manager and the players too, but the over all architect is Ashley, so he should get the bulk of the kudos for things just as he received the bulk of the tongue-lashing when he got us relegated.